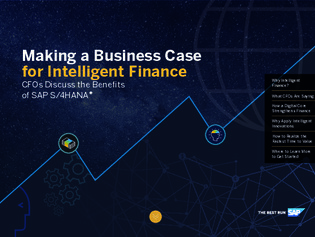 Intelligent Finance empowers your team to change the way work is done. CFOs are transforming their organizations to take on a more strategic role and are turning to intelligent technologies such as in-memory processing, machine learning, and predictive analytics. Explore how these transformative technologies are changing the way finance professionals work and the value finance brings to organizations – and map a fast, flexible path to adoption.